Back in late March (yes, I know it is April already! ), I visited the Albion Hotel on Bayfield’s Main Street. 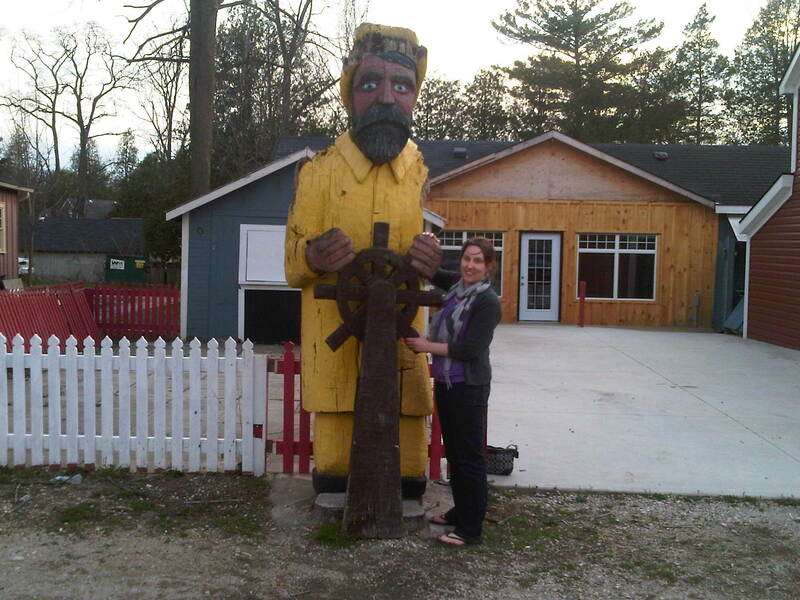 Without the hum of summer tourists, I find that Bayfield is a peaceful place to visit in the spring. This was the first time I’ve visited the Albion. I discovered it has bed & breakfast style accomodations along with a dining room and pub. The english-style pub serves traditional pub grub, along with a variety of beers. It was a Friday when I stopped in, and that’s when they have their all-you-can-eat fish and chips special for just over $10. 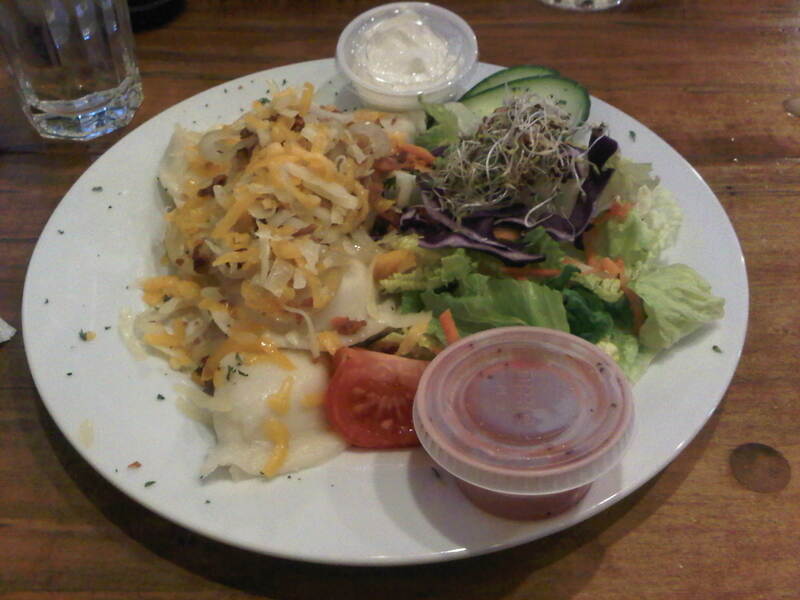 My dining companion was keen to try the special and managed to finish off two servings of fish, while I decided to try the perogies. They were topped with bacon and sautéed onions, and served with a side garden salad. Yummy! 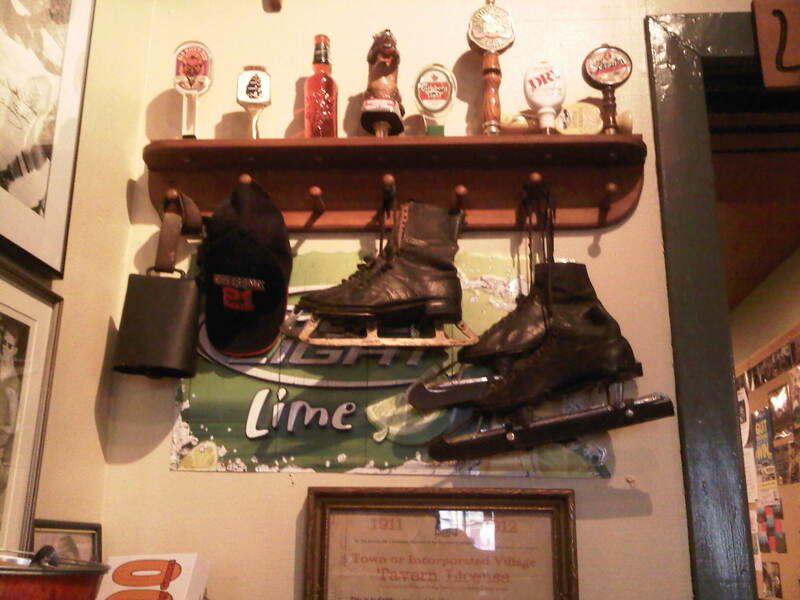 The pub has a cozy atmosphere as it’s filled with sports memorabilia and antiques. There’s definitely lots of old world charm at the Albion…and lots to look at! If you check out the Albion’s website, you’ll find a haunting story about their “rent-free” guest! ← A newborn miniature horse, always brightens my day!